Former SC judge K.M. Ibrahim Kalifulla, chairman of the panel, has asked all advocates on record to appear before it at Faizabad in Uttar Pradesh. New Delhi: The committee tasked with mediating the Babri Masjid-Ram Janmabhoomi title dispute case will sit for its first meeting at Faizabad in Uttar Pradesh Wednesday. The chairman of the committee — former Supreme Court judge K. M. Ibrahim Kalifulla — has asked all advocates on record in the matter to appear before the committee, along with the representatives of the interested parties, at the Genda Lal Dixit VIP Guest House, near the Ram Manohar Lohia University, at 10 am. 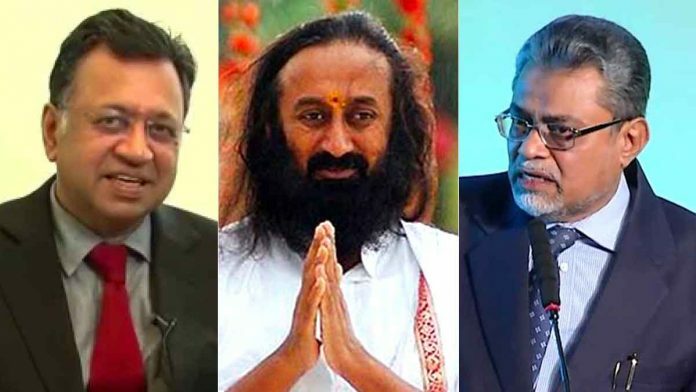 The two other mediators on the panel are spiritual guru Sri Sri Ravi Shankar and senior advocate Sriram Panchu. The mediation proceedings will be held in-camera in accordance with directions passed by the Supreme Court. Justice Kalifulla directed the state of Uttar Pradesh to provide adequate security around the venue, and, if required, personal security arrangements for the parties and the lawyers accompanying them. The Supreme Court had last week referred the matter for mediation and tasked the three-member panel to do the job. The panel has been directed to conduct proceedings with “utmost confidentiality” and come to a resolution within eight weeks. The top court’s decision came on the heels of appeals and cross-appeals that have bogged down the case. Considered to be one of the oldest land dispute cases in the country, the religious and political implications associated with this matter has ensured that the issue always stayed in the limelight. In the past 160 years, there have been at least nine failed attempts at mediation. However, this is the first time, the issue is being mediation under the direct supervision of the apex court.